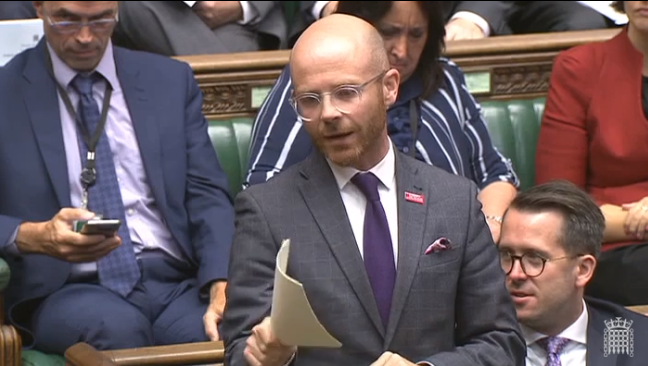 Martin Docherty-Hughes, MP for West Dunbartonshire, has hit out at the BBC and UK government over proposals to scrap the concessionary TV licence for over 75 year olds. The SNP MP says that more than 7,000 elderly households across Clydebank, Dumbarton and the Vale of Leven would be detrimentally affected if the plans go ahead. At the moment all households with someone aged over-75 are entitled to receive a free TV licence, the cost of which has been funded by the UK government since it was introduced in 2000. However, the Tory UK government has said that the funding of licence fees for over-75s is to be ended by 2020, with responsibility passing to the BBC for how to fund the scheme. The BBC is currently consulting on whether to means test the concession, raise the age of eligibility to 80 or scrap the free TV licence altogether. National charity Age UK has warned that scrapping the concession would push 50,000 over-75s below the poverty line. A petition has been launched by the charity calling on the UK government to take back responsibility for funding free TV licences for everyone over 75. “Having access to television is a lifeline for many older people for news and entertainment, especially vulnerable pensioners facing loneliness and social isolation. “If proposals to scrap the free TV licence are allowed to go ahead, over 7,000 elderly households in West Dunbartonshire will lose out. “According to the BBC’s own figures, scrapping of the concessionary TV licence for over-75s will take an average of £22,000 a week out of the pockets of over-75s in each constituency across the UK. “Not content with the UK state pension being the worst in the developed world, this move by the UK government means that thousands more older people face being forced into financial difficulty. “Cutting off this vital support for impoverished pensioners is completely unacceptable – especially at a time when the BBC are awarding huge salary increases to senior managers.